Normally, when I see math puzzles, I'm skeptical. 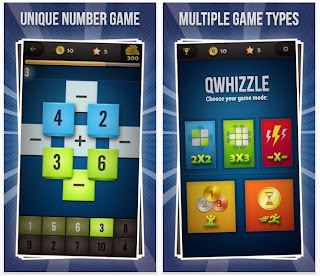 Qwhizzle is a free puzzle app game similar to the card game 24. Look at the first image. See the 3 lit up on the bottom? That's your target. To get it, you must swipe 6-3 in that order. This is not a 'tap the numbers' action. Scrutinize the bottom of the first image. You are given 10 targets and a limited amount of time. The tiles cannot be swiped more than once. I've spent a couple of hours on Qwhizzle. I am impressed at the level of difficulty, particularly on the 3x3 grids. It's simple math, but the time pressure makes it fun and challenging. Here's a slight negative: in order to play the 3x3 grids, you must accumulate a certain number of points on the 2x2's. Of course, you can purchase points and stars with real money. 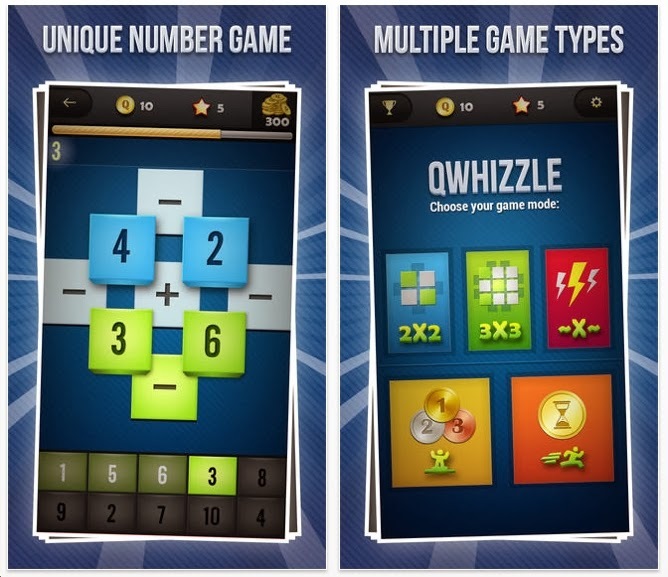 Qwhizzle may be the best math puzzle app game of 2013.